Examples, solutions, videos, stories, and songs to help Grade 2 students learn about rounding numbers. 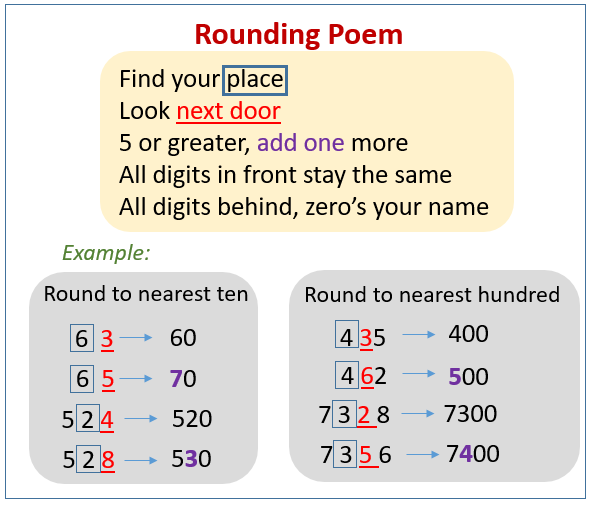 The following diagram shows how to round numbers using the rounding poem. Scroll down the page for more examples and solutions. This handy tutorial will show you how to Round to the nearest 10. This handy lesson will show you how to round to the nearest 10 with 3 digit numbers.